Friedrich Simmel and Aurore Dupin, researchers at the Technical University of Munich (TUM), have for the first time created artificial cell assemblies that can communicate with each other. The cells, separated by fatty membranes, exchange small chemical signaling molecules to trigger more complex reactions, such as the production of RNA and other proteins. Scientists around the world are working on creating artificial, cell-like systems that mimic the behavior of living organisms. 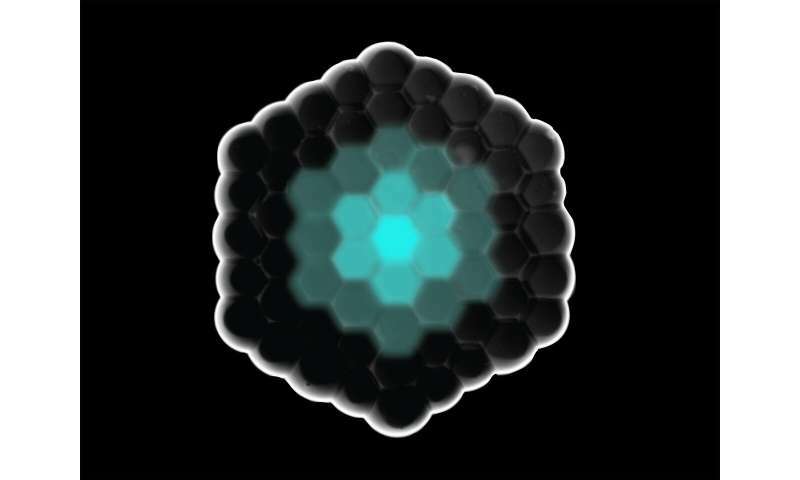 Friedrich Simmel and Aurore Dupin have created such artificial cell assemblies in a fixed spatial arrangement. The highlight is that the cells are able to communicate with each other. "Our system is a first step toward tissue-like, synthetic biological materials that exhibit complex spatial and temporal behavior in which individual cells specialize and differentiate themselves, not unlike biological organisms," explains Friedrich Simmel, Professor of Physics of Synthetic Biosystems (E14) at TU Munich. Gels or emulsion droplets encapsulated in thin fat or polymer membranes serve as the basic building blocks for the artificial cells. Inside these 10- to 100-micron units, chemical and biochemical reactions can proceed uninhibited. The research team used droplets enclosed by lipid membranes and assembled them into artificial multicellular structures called micro-tissues. The biochemical reaction solutions used in the droplets can produce RNA and proteins, giving the cells a of a kind of gene expression ability. But that's not all: Small signal molecules can be exchanged between cells via their membranes or protein channels built into the membranes. This allows them to couple with each other temporally and spatially. The systems thus become dynamic, as in real life. And with no natural predators the new life took over the Earth.